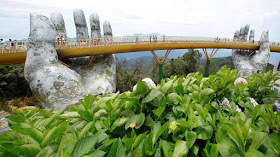 We bring you super cool pics of the incredible bridge outside Da Nang in Vietnam which is currently wowing visitors with its completely charming and elegant design. 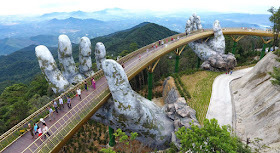 The bridge was built to look like it is being held aloft by two giant stone hands. 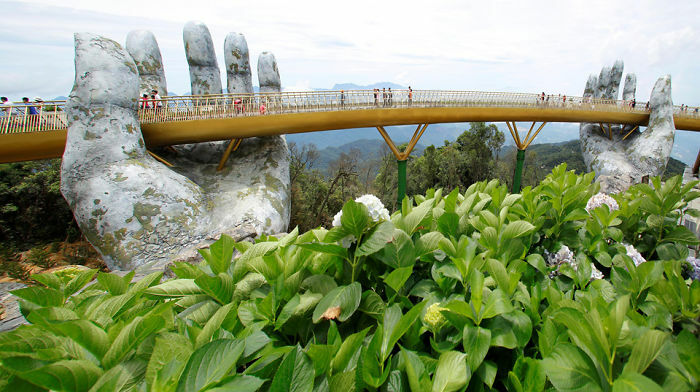 Known as the Golden Bridge, it stands 1,400m above sea level above the Ba Na hills, offering majestic views of the surrounding countryside, curving around in an elegant design. 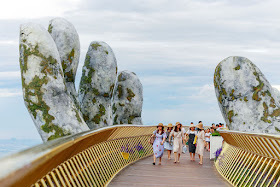 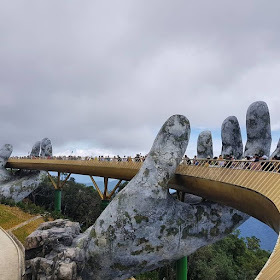 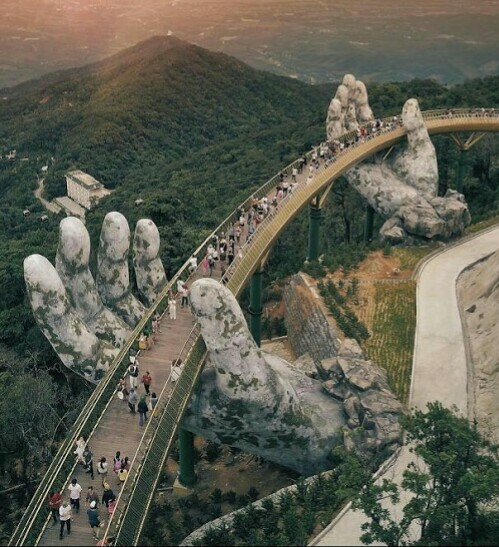 According to Bored Panda, the design for the bridge came from a company called TA Landscape Architecture, and while the hands look like they are carved from stone, they are actually not. Vietnam has experienced a tourism boom as more and more people discover the beauty of this remarkable infrastructure, the structure is part of a $2 billion investment to bring even more than the 1.5 million visitors the area receives annually.